Barclaycard launched a new stick-on credit card application that will enable millions of its Visa cardholders to make wave-and-pay purchases using their mobile phone. 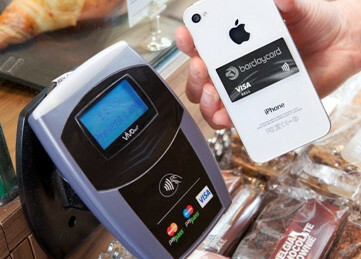 A third of the size of a normal card, Barclaycard PayTag can be stuck to the back of any mobile phone. Once attached, it can be used to make payments of £15 and under, rising to £20 in June, by simply being held over a contactless payment terminal. “More than half of us say that the item we’re most lost without is our mobile phone, so we’re giving people the option of using them to make easy, convenient, everyday payments without the need to upgrade their current handset,” said David Chan, CEO of Barclaycard Consumer Europe. 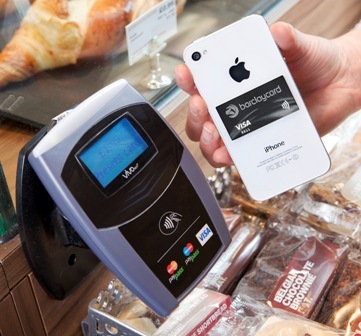 Retailers that offer, or are introducing, contactless include Waitrose, McDonalds, Boots, WH Smith and Tesco. By the end of 2012, London buses will also accept contactless payments, followed by the Tube and the rest of the transport network in the Capital in 2013. Barclaycard PayTag is safe and secure, and comes with the same 100% fraud protection as any Barclaycard. An exclusive group of customers will be invited to receive their Barclaycard PayTag in the coming weeks, before they are offered to millions of Barclaycard customers later in the year.